Rest of the image will be updated on/after Friday! * The School District Mascot is a Kangaroo. "Home of the Fighting Roo's!" 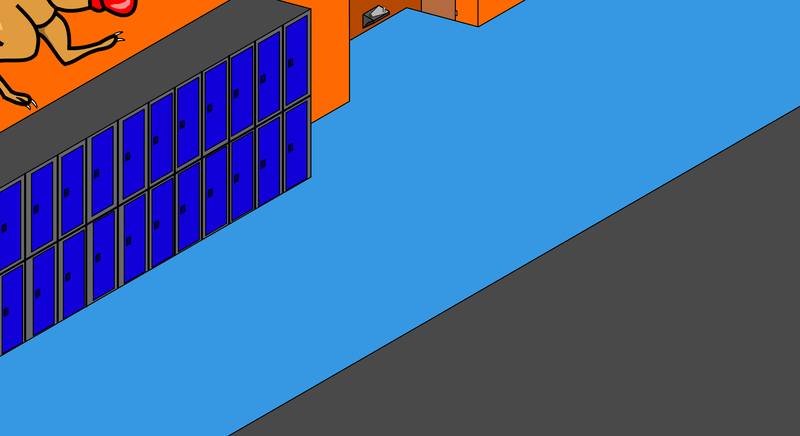 The "black squarish blob" are lockers. Behind that wall in the library. I'm currently working on a blueprint of the school. It's taking longer than I was hoping it would.